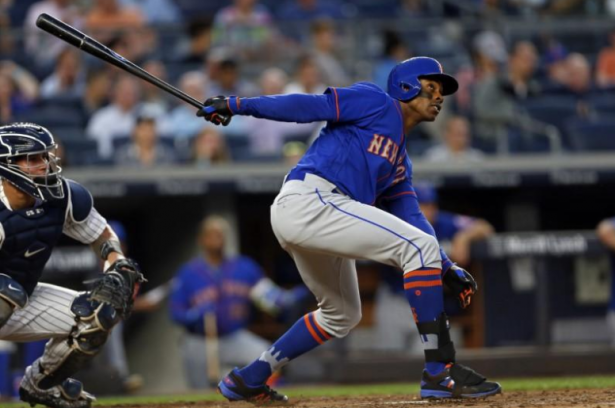 The Los Angeles Dodgers bolstered their World Series aspirations by acquiring veteran outfielder Curtis Granderson in a trade with the New York Mets on Friday. The Mets sent cash considerations and the three-time All Star Granderson in exchange for a player to be named later, the Dodgers said. Los Angeles lead the majors with an 86-34 record and have a 19-1/2 game lead over Arizona in the National League West. The 36-year-old Granderson is batting .228 with 19 home runs this season for the Mets, who have a 53-66 record and are unlikely to make the playoffs. They were in the World Series in 2015. "Its been a great four years here with the Mets organization," Granderson told reporters. "All these guys have been amazing. "It's a little bittersweet, but to get an opportunity to play into the post-season is going to be exciting."